Schalke vs RB Leipzig predictions for this weekend’s German Bundesliga. Can Schalke put more light between themselves and the relegation zone when they host RB Leipzig at the Veltins Arena on Saturday? Read on for our free betting tips and match preview. Not much positive can be said about Schalke’s season at all really. A 7-0 spanking at the hands of Manchester City in the Champions League during the week extended their losing streak to five consecutive matches across all competitions. It also means they have won just two of their eleven matches since the turn of the year (W2 D2 L7). It’s an alarming run for Domenico Tedesco’s side who, less than a year after finishing as Bundesliga runners-up, looking nervously over their shoulders at the relegation zone with only 19 games to go. Schalke are just four points ahead of 16th placed Stuttgart. RB Leipzig have been lacking their usual punch over the past few weeks too, but they are at least homing in on a return to the Champions League at the other end of the table. Ralf Rangnick’s men followed up their 1-0 away win at Nurnberg with a 0-0 draw at home to Augsburg, meaning they’re unbeaten in eight across all competitions (W5 D3) going into Saturday’s game against Schalke. Such a run has seen Leipzig move above Borussia Monchengladbach to third in the rankings, with a three-point lead ahead of 5th place Frankfurt. We also have a 33/1 Anytime Goalscorer Accumulator for the Bundesliga here. After a look at the stats, backing this to be a low scoring game looks a good option. Leipzig’s Timo Werner has been hit and miss in 2019 due to illness, and even with him back among their ranks last weekend, he wasn’t the same without partner in crime Yussef Poulsen, who missed out due to injury. 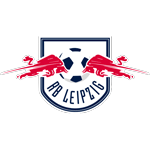 Leipzig’s main strength this season has been in their defense – the Red Bulls have conceded a league-low 20 goals this term – and with just three goals conceded since the turn of the year, it will be very tough to see a goal from a Schalke side who are one of the lowest scoring sides in the division – in fact, they’ve failed to score in three of their last four league outings. Leipzig themselves aren’t in their best scoring form either, averaging around just one goal per game in their last six, but Schalke have been uncharacteristically poor defensively – in fact, they’ve conceded multiple goals in six of their last seven league matches. Whether Leipzig can exploit this if either of Poulsen or Werner miss out again here is another question – the former is yet to score when Werner isn’t on the pitch. Uncertainties like this can make for a more unpredictable encounter, but with Leipzig one of the most stubborn sides in the division at the minute, we like them to take a result here. Our prediction: 1-0 Leipzig. Schalke 04 have won just one of their five Bundesliga matches against RB Leipzig (D2 L2) – a 2-0 home victory in August 2017. Of all current Bundesliga sides, Schalke are only worse off on average against Bayern (0.84 points per game) than they are against Leipzig (1.0 point per game). However, they could remain unbeaten against Leipzig in a season for the very first time (0-0 in reverse fixture). Schalke 04 have lost five of their last six Bundesliga matches, collecting just one point – a league low during this period. 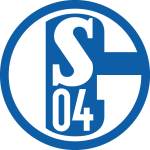 Only in their fateful 1982-83 relegation campaign have Schalke had fewer points after 25 Bundesliga matches (18) than they do currently (23, also in 1964-65 and 1972-73). Schalke 04 have failed to score in their last three Bundesliga home matches (D1 L2). They have never gone four home games without scoring in the competition. Schalke 04 have conceded four goals in back-to-back Bundesliga games for the first time since September 1987. They have never conceded four in three consecutive BL games. Breel Embolo ended Schalke’s 360-minute Bundesliga goal drought with his brace against Bremen. It was also the first time he has scored twice in a game since October 2016 against Borussia Mönchengladbach. RB Leipzig are unbeaten in their last seven Bundesliga matches (W4 D3), keeping five clean sheets and conceding just twice. RB Leipzig have kept a league-high 12 clean sheets this season – already a club record for an entire Bundesliga season. RB Leipzig have failed to score in eight Bundesliga matches this season – 25 matches in, they’re already set a negative club record for an entire campaign.